While all music, no matter its form, affects the brain in similar ways, different forms of music do produce different effects overall. 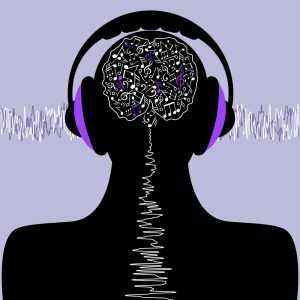 Before we get into the effects produced by different genres of music, let’s take a quick look at how music in general effects the brain. As music is first perceived by the brain, the auditory cortex and the cerebellum work together in order to divide the music into pitch and volume. From there, it is perceived by the amygdala in such a way that it creates an emotional reaction. Then, the various elements of the music are connected from the cerebellum to the amygdala to create a rush of dopamine (in many cases this can actually create physical effects and sensations such as chills and goosebumps). This visceral response is then controlled by the caudate, a part of the brain associated with reward functions and certain motor functions such as inhibitory control of action, as well as procedural and associative learning. These genres have been classified together because, roughly speaking, they produce the same effect due to their overall catchy, constant, and repetitive backbeat. Music that is structurally consistent like these genres produces a lot of dopamine, and the signals sent by the auditory cortex in response to this music inspires a person to want to dance and sing. Generally speaking, these kinds of music increase pulse-rate and make you more hyper. Most people who don’t listen to metal, but have friends who do, have probably heard of metal music actually making people calmer. This is both true and false. Due to its dense structure and often fast tempo, metal is going to immediate get anyone’s blood pumping. The overall calming effect that many allege is likely an indirect one, due to this music causing the brain to light up with lots of activity, drowning out feelings of stress and anger, as well as providing an outlet for these emotions. Classical music is a great stress reliever, often creating a dopamine rush and a sense of relaxation at the same time. 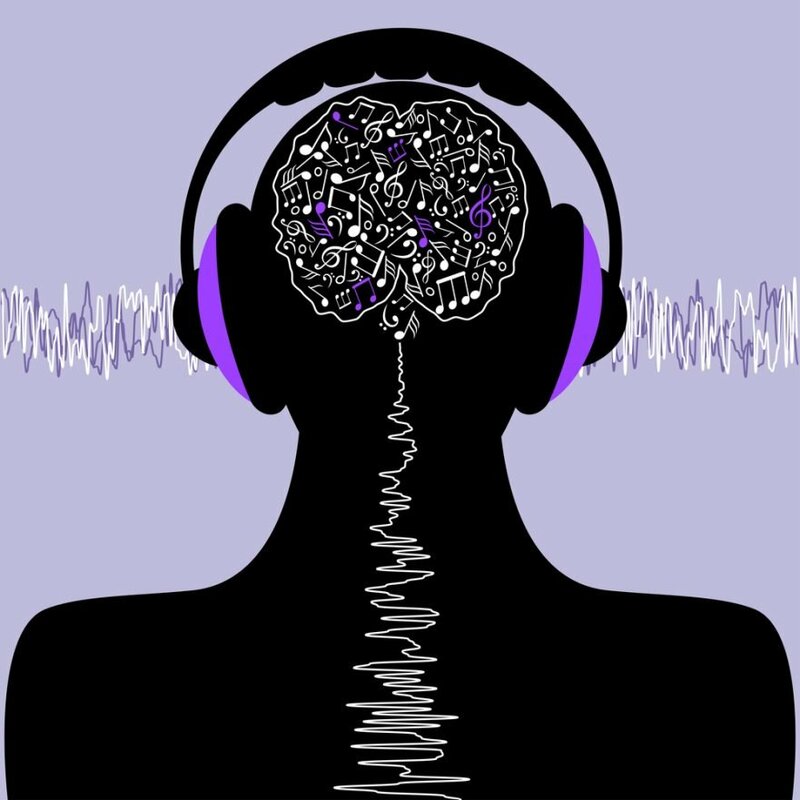 Classical music also activates more areas in the brain than popular music due to its focus on complex juxtapositions of higher and lower note sections that merge to create new chords and progressions. Jazz music is highly complex, and because much of it is improvised, it has an experimental nature that also focuses on what the listener wants to interpret, rather than solely on a specific melody and pattern being expressed. In this way, jazz can create a great degree of hyperactive neural stimulation. Jazz also tends to rely on “call-and-response”, a style where certain musicians “talk to each other” via their instruments, which in turn activates the area of the brain that correlates with language syntax. Music is associated with stress reduction, and has been shown to be a major contributor in how people manage depression and anxiety. It is also great for helping people focus, study, and memorize information. Beyond that, listening to music is a fun activity! The only there are certainly other influences and outside factors that improve your response to music. The environment you’re listening to it, the people around you, the quality of the equipment and speakers you’re hearing it from. Think about it. If you are sitting in the forest, with no one in sight and the only sounds you hear are the wind through the trees, perhaps some birds chirping, or leaves rustling; perhaps there’s a brook in the background with running water. You’re more likely to be at peace and have lower anxiety. It gives you so much less to worry about which in turn allows you to focus on what the music is playing. What about the difference between that nice environmental scene and your car for example? Picture this… You’re driving down Central Avenue in the middle of New York City. People everywhere, horns honking, traffic as far as the eye can see. Massive buildings, electric signs… so much going on. You have a lot more to worry about an focus on. Turning up your music to drown out the noise of everyday life can really help to lift your spirits in an otherwise higher anxiety and energetic environment. You can’t always be in the middle of nowhere, or in a spa, or home alone… but you can make the most out of your listening experience. Our suggestion? Improve your audio equipment (head unit, speakers, amplifiers, etc…) in your car. You will inevitably spend a lot of time there. It makes your environment a lot less stressful and easy going. Regardless of what music you listen to, you can enhance your listening experience with the right tunes and the right equipment. Either way, music is meant for joy and fun. It’s an art. So, make sure you have your favorite music handy, as well as some high quality music playing equipment, and enjoy.